Mon.-Fri. 8 a.m. - 5 p.m.
Travel west on 50/52, turn west onto 9th Street. The Cancer Institute will be on your left at 1115 W. 9th St.
We offer prevention, diagnosis and treatment backed by a strong support system?all in a warm, caring environment. The Avera Cancer Institute team works with healthcare professionals throughout the region to bring you the best cancer care possible, right here at home. 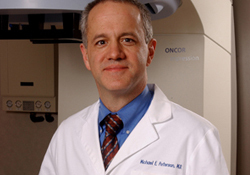 Our cancer program is accredited by the American College of Surgeon's Commission on Cancer. Only one in four hospitals that treat cancer receives this special approval.